Located right next door to Revelstoke, British Columbia, Mount Revelstoke National Park is a place of incredible contrasts. The 260 square kilometre (100 sq mi) park is known for its spectacular subalpine wildflower meadows and rugged peaks, Mount Revelstoke offers visitors plenty of opportunities to experience nature at its finest. The peak of Mount Revelstoke can be reached by travelling the 26 kilometre (16 mi), Meadows-In-The-Sky Parkway which takes you through a dense rain forest of cedar and pine, subalpine forest and meadows. It also offers a spectacular view of the ice-clad peaks of Monashee Range and, on the eastern horizon, the Selkirk Mountains. Along the TransCanada Highway, the Giant Cedars and Skunk Cabbage Nature Trails offer the chance to experience the park's lush interior rain forests and beautiful wetlands. In fact, an enjoyable trek along the Giant Cedars hiking trail takes you through a stand of 500 to 800 year old red cedar trees. 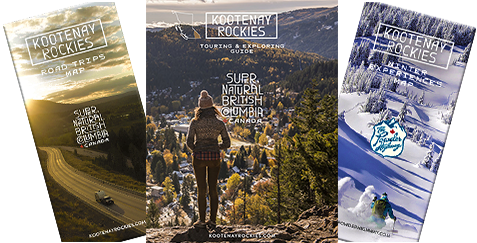 Among all this natural wonder, the City of Revelstoke offers travellers additional things to see and do. While in town, the City Museum, Revelstoke Railway Museum and Revelstoke's Grizzly Plaza are all worth a visit. The Revelstoke Dam is also a popular attraction, as is Craigellachie, 46 kilometres (29 mi) west of the city. This fascinating site commemorates the completion of the Canadian Pacific Railway with the driving of the last spike in 1885. Winter: Ski touring and other winter backcountry activities. Cross-country skiing is available on the lower slopes of Mount Revelstoke. Tobogganing is also available at the base of the mountain. Wildlife viewing of Caribou may be seen on the summit. Spring: Birdwatching at Skunk Cabbage Nature Trail. Skiing is also sometimes available into June and even July. Wildlife watching - Neotropical migrant warblers and other birds are returning to the parks. Summer: Endless hiking trails, many glaciers, sparkling creeks and waterfalls. Wildflower meadows are at their peak of blooming in early August. Fall: Some of the year's best hiking. Wildlife watching - mountain caribou and bear. Park Services and Facilities: Picnic or day-use facilities, hiking trails, fishing.